1. Payment Terms: Payment must be received by Tree Stand Buddy prior to acceptance of an order. 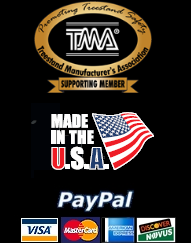 Payment for the products will be made by credit card, PayPal, or some other prearranged payment method unless credit terms have been agreed to by Tree Stand Buddy. Invoices are due and payable within the time period noted on your invoice, measured from the date of the invoice. Tree Stand Buddy is not responsible for pricing, typographical, or other errors in any offer by Tree Stand Buddy and reserves the right to cancel any orders resulting from such errors. 2. Shipping Charges: Shipping and handling are additional unless otherwise expressly indicated at the time of sale. 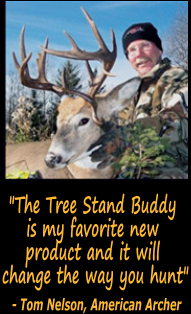 Title to products passes from Tree Stand Buddy to Customer on shipment from Tree Stand Buddy facility. Loss or damage that occurs during shipping by a carrier selected by Tree Stand Buddy is Tree Stand Buddy responsibility. Loss or damage that occurs during shipping by a carrier selected by you is your responsibility. You must notify Tree Stand Buddy within 14 days of the date of your invoice or acknowledgement if you believe any part of your purchase is missing, wrong or damaged. 3. Return Policy: We understand that ordering online can make anyone nervous. And we know you have many choices. We want to make sure you are confident with you decision to do business with us.We will replace any item you are not happy with. All returns must have a return authorization. Call our customer service department within 30 days of product purchase and someone will be happy to assist you. 4. Cookies: In common with many other website operators, we may use standard technology called ‘cookies’ on this site. Cookies are small pieces of information that are stored by your browser on your computer’s hard drive. Most browsers automatically accept cookies, but you can usually change your browser to prevent cookies being stored, however if you do turn cookies off this will limit the service that we are able to provide to you.